As family historians venture into cemeteries to look for more clues about their ancestors many wonder what, if anything, the symbols on headstones mean. While most headstone symbols do have a textbook meaning, many were chosen simply because the person who died requested such a design, or because the person choosing the headstone liked how it looked. They may not have realised their chosen design had meaning. Fashion also played a big part, as did the need to impress. 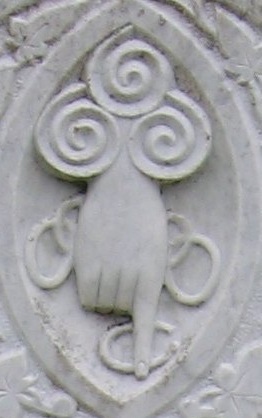 Therefore the true representation of a headstone symbol may never be known. Nevertheless, it’s interesting to know the potential meanings behind various symbols. Here are some examples I’ve found in the rural cemeteries of Canterbury, New Zealand. This is an ongoing project so please check back for updates or subscribe to this blog to receive automatic notifications of updates.